It’s always nice to have a few days away and explore a new area. Recently I was lucky enough to spend a week at Lake Windermere in the Lake District. We stopped on a lovely little caravan site near Bowness, and visited a new area each day. One of these ‘excursions’ was to Lake Coniston. This is the lake where record breaker Malcolm Campbell was tragically killed when his boat Bluebird flipped. Many parts of the lake had lovely shallow sides. 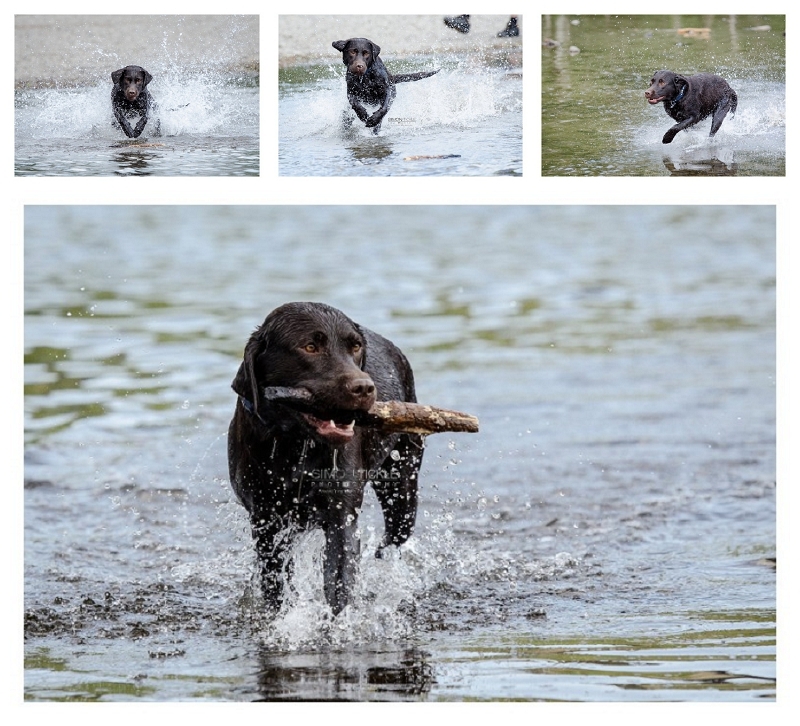 ideal to photograph dogs jumping through water! As someone who usually does pet photography Nottingham, this isn’t something I get the opportunity to do all that often. Lucy was excellent, leaping in and diving for sticks. I love these so much I’ve even had some framed for my own walls!